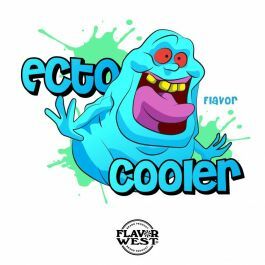 Ecto cooler flavor is a delicious cool mixed Tangerine and Orange fruit concentrate with no artificial flavor. Try Ecto Cooler flavor in your drink to get that refreshing citrus taste you desire. Ideal for different kind of drinks and bakery products. Type: Ecto Cooler all natural Water Soluble Flavoring. Ingredients: Natural Flavoring, Propylene Glycol. USP Kosher Grade Flavoring. Usage Rate: 15-20% for E-use. Flavor suitability: Suitable drinks, beverages, juice and much more. Specific Gravity: .97 No Refunds on Flavoring. I made my first sucessful DIY juice with this flavor and I still use it to this day. As mentioned previously this will crack or damage clearo's like a number of other flavors--make sure to use proper equipment but its worth it for sure---excellent fruity flavor. oh my god this flavor is awesome! tastes so much like ecto... its unbelievable! it has only one flaw.... its not water soluble..